FT. LAUDERDALE, FL and OLDENZAAL, THE NETHERLANDS, August 25, 2010 – Commodore USA, LLC and Commodore Licensing B.V., a wholly owned subsidiary of Asiarim Corp (OTCQB: "ARMC"), today announced their licensing agreement whereby Commodore USA, LLC will produce a full line of new Commodore branded "AIO" (All In One) keyboard computers, under an exclusive worldwide license granted by Commodore Licensing B.V. for this newly revitalized computer category. In response to an overwhelming demand from former Commodore users worldwide, Commodore USA's CTO Leo Nigro announced today that their new Commodore PC64 will be available for purchase this holiday season. 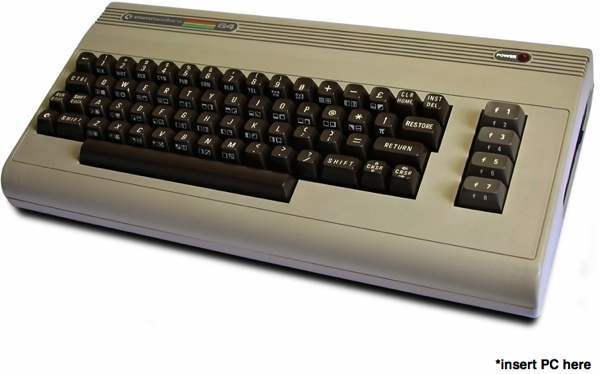 Featuring an exact replica of the original beige chassis Commodore C64, this new addition to our lineup will include an Intel Atom 525 CPU with NVIDIA Ion2 graphics, 4GB DDR3 memory, 1TB Hdd, HDMI, DVD/CD optical drive (Blu-ray optional), dual-link DVI, six USB ports, integrated 802.11n WiFi, bluetooth and a 6-in-1 media card reader. Barry S. Altman is the President and CEO of Commodore USA, LLC, based in Fort Lauderdale, Florida. Spanning a 25 year career in the bleeding-edge electronics and satellite/space telecommunications industry, Mr. Altman founded and served as CEO & President of Cabletech Satellite Systems, Inc. U.S. Cable Technology, Inc., The Cabletech Satellite Network and United Broadcasting Co. This group of companies built NOC's (Network Operation Centers) for cable television programmers, and cable television head ends for cable companies throughout the United States, They designed and constructed the satellite uplink network operation centers for such companies as Viacom International, Warner Amex, Viacom and MTV Networks. They directed and produced the domestic satellite telemetry downlink for the Live Aid concert for MTV, which was at that time the largest world wide deployment of a live satellite television broadcast. Cabletech has manufactured, designed and installed systems for Grumman Aerospace, The United Nations, government and private industry, and over 45,000 TVRO C& Ku band satellite systems for businesses and consumers nationwide. Cabletech was a developmental partner with General Motors & Hughes Communications in the small aperture DBS system that later became DirecTVv.